If you are looking for a combination of luxury, elegance and exceptional breadth of care, the Four Elms should be on your short list of Thornhill area retirement homes. 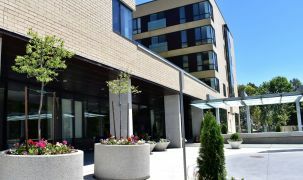 Nestled in a peaceful neighbourhood near Steeles and Dufferin, this residence creates an environment where the health and wellness needs of seniors are a renewed commitment every day. As with many communities run by Verve, staff is renowned and acclaimed for friendliness, helpfulness and approachability. This retirement residence is also peopled by volunteers who add to the helpful, caring environment here. Staff may be varied in their focus but all are very skilled. Care is a deep part of everything that happens at the Four Elms, from the fine dining on offer every day, to the individual attention and close conversation you might find in the salon and spa, to the personalized care plan given each resident. The Four Elms is exceptional for taking Verve Senior Living's model of exceptional quality senior living, and combining that with a continuous care model. This model welcomes independent seniors but also includes memory and dementia care. There are a couple wonderful advantages to this. For one, you can move in here and know that you will never need to go through the stress of moving again. For another, couples with varying needs (including those where one partner has dementia) can remain together in one place. 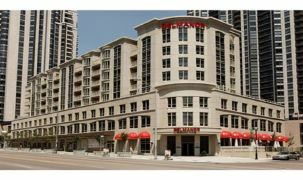 Onsite amenities include an in-house hangout, the pub, as well as a movie theatre, games room and party room. 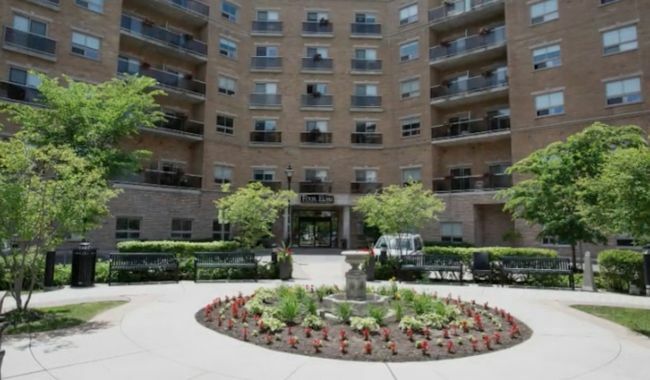 Enhanced security here is manifold including round-the-clock registered nurse on site, daily assistance with medication, an emergency call bell system, and security cameras. Things to do here include live entertainment, scheduled outings. Lovely community with great staff and nice people. It's overall really nice for my parents here. This is one of the best decisions we've ever made in our lives… My husband [is in dementia care here] and I am now his sole caregiver … The staff here are thoughtful, kind and very knowledgeable in their work… the nursing staff is wonderful! They have been very kind to my mom. This is a clean, modern, updated building, with energetic & caring staff. 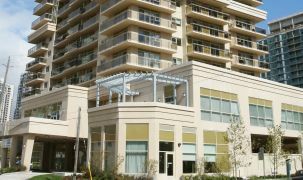 Good programs, nice suites, good location in southern York Region.